Sick of suited up guys yelling into mouthpieces, incendiary shooter sequels and stuff that's Only On Xbox ? 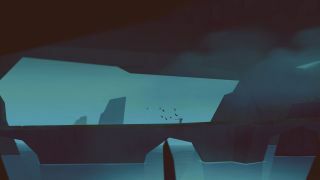 This Below trailer provides a calm respite from the brouhaha of Gamescom . There's no new information (ie, we still don't know when it's coming out), but this Capybara developed top-down adventure roguelike is looking prettier than ever. Below was an Xbox exclusive back in the day, before Capybara confirmed a Steam release in April. Cory Banks went hands on with the game back in April, reporting that there's "potential for both streaming playthroughs and, once the community solves its puzzles, Spelunky-like speedruns."